It is a rare, self-limiting condition that affects males and females equally. 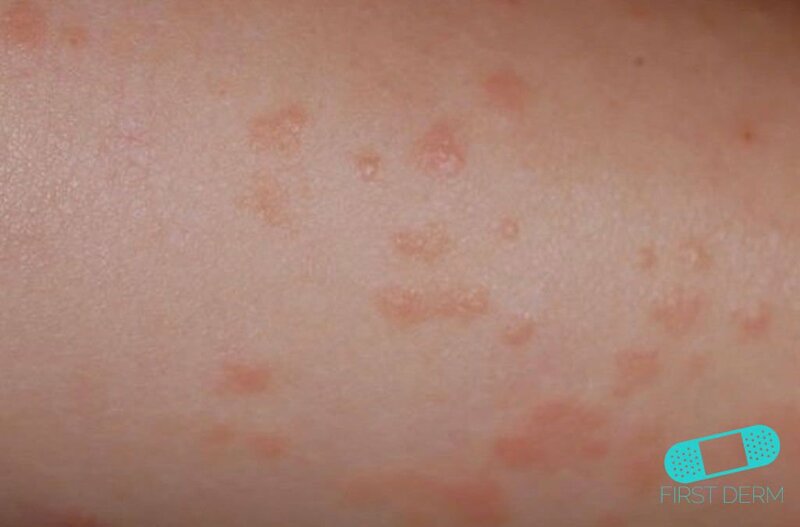 Although contagious before the outbreak on the skin, the condition is non-contagious after the rash appear. The exact cause of the condition is still unknown. However, it is associated with the presence of a viral infection, such as hepatitis B, that causes a rash. Other viral diseases include infectious Mononucleosis, Cytomegalovirus, and after vaccination with a live virus serum. The syndrome causes flat pink, red or brownish papules. The size can range from 1mm to 10mm. The lesions usually present themselves symmetrically and combine to form larger lesions. The lesions may form flat-top, fluid-filled blisters. However, they are usually not itchy. These blisters often appear on the cheeks and limbs. 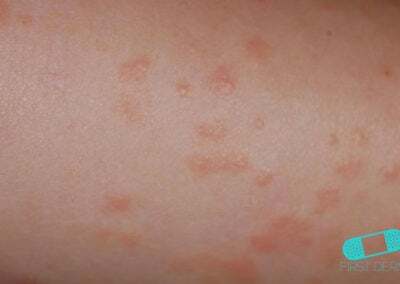 This rash can last for weeks (15-60 days). The condition manifests more commonly in the spring and summer. Fever and upper respiratory infection is a common occurrence in association with Gianotti-Crosti syndrome. Other associated conditions include enlarged tender lymph nodes and an enlarged spleen or liver. Since the syndrome is associated with viruses, the only way to prevent it is to avoid getting a viral infection. Make sure your child washes their hands regularly and avoids contact with anyone who is sick. Even though no treatment is necessary in general, you should contact a healthcare provider if your child has Gianotti–Crosti syndrome. The rash will go away on its own, after 2-8 weeks, so treatment is typically for the control of itching symptoms. Steroid creams, pramoxine and antihistamines can relieve itching.